SETTING, FIXING AND FINISHING SPRAYS, WHAT ARE THE DIFFERENCES? Looking through social media, there is a plethora of face mists and setting sprays available in the market .However with all the new formulas and types of mists popping up it may be difficult to decide which may work best for your needs. One of the top questions I see about make up is on how to get it to last longer and with the range sprays available it is difficult to know which of the many work best. Setting sprays, finishing sprays and facial mists are different; however some products claim to perform multiple functions. Facial mists focus hydrating your skin while setting and finishing sprays focus on extending the life of you makeup. Although both make your makeup last longer they do so through different methods. Refreshing mists are often used before makeup to give your face a refreshing spritz and add a tiny bit of extra moisture before makeup. Unlike setting and finishing sprays , they’re supposed to be applied before make up to moisturise your skin but does not have any setting or fixative properties but will add active plant ingredients and essential oils to your skin. Some people also use refreshing mists throughout the day to add moisture and refresh their makeup. Setting sprays are a usually a mix of water, glycerine, and botanical oils, which blend the layers of makeup on your skin so it does not melt or slide giving a seamless look. This is especially useful if you use a lot of powder products your routine your skin may look dry and powdery so using a setting spray is a great solution. The sole function of setting sprays is to blend your makeup not add to the wear length of your makeup. However although it has little staying power, if your foundation tends to slip it is likely to provided more staying power. Setting sprays always be applied after your makeup application, because if applied before makeup it will make your foundation difficult to blend because it makes the layers set more quickly. They also work really well with mineral or powder foundations. A fixing spray on the other hand has only one function which is to ‘’fix’’ your make up and make it last as long as possible. Fixing sprays are primarily alcohol-based which lets them dry down faster. Finishing sprays can be used to refresh makeup during the day to prevent cakeiness, so although it may not increase longevity it means you need less touch-ups during the day. 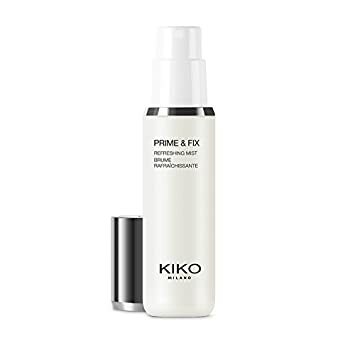 Using a fixing spray without setting your makeup will works only for the top layer of makeup, however applying a fixing spray over a setting spray will make your make up last much longer. The best way to use makeup sprays is to wait until your makeup is completely applied and dry . Then hold the bottle an arm’s length away from your face then spray on your face lightly. Do not rub into your skin just allow it to dry naturally and set your makeup. The quantity of spray /pumps needed depends on the product , so read the instructions carefully and follow the directions. What do you think? Setting or finishing spray or both? I tend to use face just a setting spray to set my makeup since I have oily skin as most finishing sprays give a dewy finish. My favourites are MAC fix plus and ELF and NYX. Urban Decay and Skindinavia have excellent reviews but I have not tried them in person. or newsletter service. Do you’ve any? Kindly permit me know in order that I may subscribe. Thanks. Howdy would you mind letting me know which webhost you’re working with? your rss as I can not in finding your email subscription link or e-newsletter service.